Great ingredients and easy to make. Good combination for clean eating! Cook asparagus in pasta water for about 5 minutes. Remove from water and set aside. (Use the same water to cook pasta). Cook pasta according to package directions. Drain and toss in 1 tablespoon olive oil. Sauté turkey breast in 1/2 tbsp olive oil. Cook for 10 minutes or until browned. Add lemon juice. 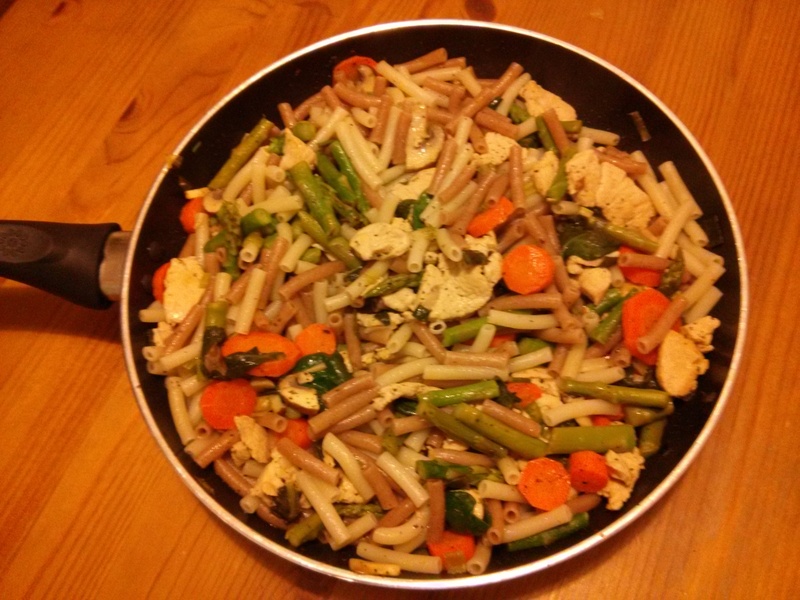 Add sliced carrots, chopped onions, mushrooms, cooked asparagus, spinach, dried basil. Cook until vegetables are soft, but not overcooked. Add vegetable stock and cook until stock comes to a boil. Add pasta to mixture and toss until mixed.